The environment is becoming an ever more important issue within the construction industry and within our everyday lives. With new buildings now being scrutinised for their environmental impact, it is up to us, the contractors and architects to achieve the lowest environmental impact possible. Weston Painting Contractors are dedicated to reducing its own impact on the environment and the impact of its products. As an organisation that is involved in many large scale decorating projects it is paramount for the evolution of the company that it has a positive effect on the environment rather than a negative. Weston Painting Contractors will therefore always aim to take a proactive approach to environmental issues. Sustainability and reduction in waste are bywords for a happy and productive working environment, which is particularly important for a growing organisation in a future that is dependent on a healthy environment. In order to stay one step ahead, Weston Painting Contractors has made a commitment that will focus on important issues and ensure a safer future for everyone. Through our in-house training we will share our knowledge and awareness of client expectations and environmental impacts. Encourage all employees to become environmentally aware and proactive. 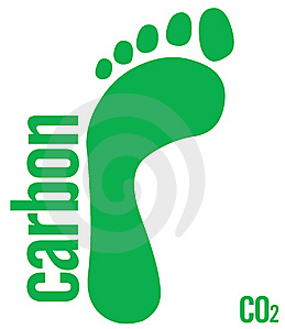 We will reduce our carbon footprint by lowering levels of energy usage. We will take a proactive approach to environmental issues on all decorating products and paints which contain high level VOC content, reducing them to solvent free and lower VOC emissions. Where possible we will prevent, recycle and reduce waste. We will also continue to highlight our non-polluting policy. At all times we will act in a responsible, sensible manner that is beneficial to our client, employee and the environment. We will make Weston Painting Contractors known to all it’s clients and partners by strengthening relationships, supporting education and encouraging involvement within our supply chain. We will endeavour to extend our sustainable sourcing. We will prove our commitment by continuing to work with our colleagues, clients and partners to provide a sustainable future.